This short guide can help you to know who has your number in their contact list, whether they have an Android of an iOS device. Hello everyone, I’m Frankie Caruso! There is a small trick that I will reveal to you today that, in most cases, can let you know with a great deal of certainty who saved your mobile number in their contacts (and who didn’t). This method can be useful when you want to debunk someone who says they haven’t answered your calls because they didn’t know your number or didn’t recognize it. But it is even more useful when you want to avoid getting banned from WhatsApp for sending too many messages to contacts that do not have your number stored in their phones. It actually happens pretty often. So, get comfortable and read through the information I am providing carefully. This is your typical 007, James Bond style trick that can come in handy in very specific situations. Let’s get right to it and find out who has your number stored in their contact list. If you want to know what users among your contacts have saved your number in their own lists, you just have to use the broadcast lists function through WhatsApp. This feature actually allows you to send messages only to those who have your number saved on their phones. This is why it turns out to be an effective tool to determine who has your number saved and who does not. The trick is to send a new broadcast to two or more contacts, one being a person that has your number saved for certain, and the other one is something that has probably not saved your number. 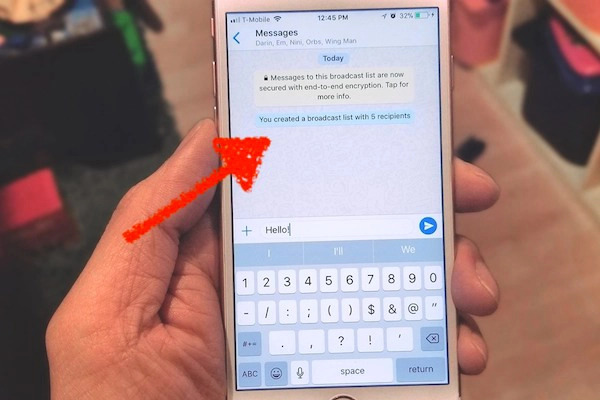 If you want to know how to proceed on your iPhone or Android (as WhatsApp Web and Desktop do not allow broadcasting), you only need to read ahead through the next paragraphs and you will learn how to do it. Just one thing: In order to use this “trick”, both you and the user you don’t think has saved your number need to be users of WhatsApp. In order to do this with your Android phone, first open up the WhatsApp application. Select any person that you want to include in this broadcast. Remember you want at least one person who does, and one who you suspect does not. You can add them by tapping their names and then the white check icon on the green background in the bottom right corner of the screen. You can type your message in the text bar at the bottom of this screen, and then send it out using the paper airplane symbol on the bottom right. Finally, hold the message that you have sent, tap the three dots icon in the upper right and select the Info option. Now you can get some conclusive evidence. A new screen appears that will let you know whether the message has been delivered, and possibly read, and by whom. If the name of the person that you suspect did not have your number saved does not appear on the Delivered to list, they have not saved your number. Conversely, if their number does appear, then the message has been delivered and these people do have your number saved despite what they might have told you. Tap the Chat key in the bottom right corner, tap the item Broadcast Lists, located in the top left corner. A new screen will open, where you can tap the New List option at the bottom. Select the people you want to include in the broadcast list. Pick a name that has your number saved for certain, and one that you suspect does not by tapping on the names. You can then click Create in the upper right corner. Type your message in the text bar at the bottom of the screen and send it with the paper airplane icon in the bottom right corner. You can now have access to who has your number and who doesn’t. Once the message has been sent, hold it, then tap the triangle symbol on the bubble that appears and tap on Info. If you want to know whether the message has been delivered and possibly read, and by whom, you just have to pay attention to the information that appears on this screen. Now, let’s come to a conclusion. If the name of the person you thought saved your number does not appear under the heading Delivered to, they have not saved your information. The same can be said if the name does appear there, as you now know that your number has been saved in their contact lists. 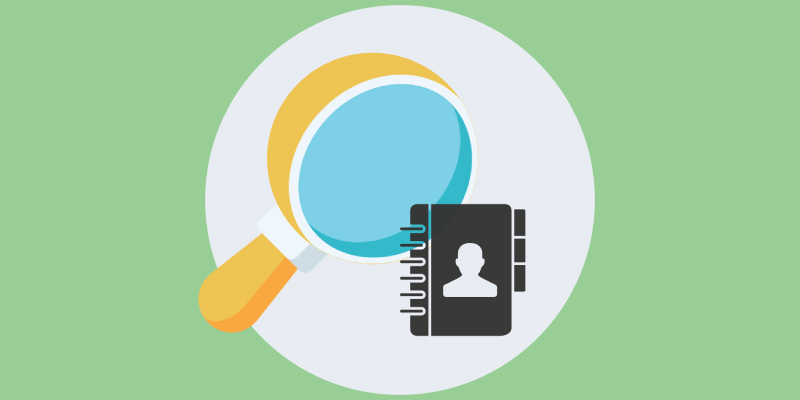 Do you want to know if there is a way that you can find out who has your information saved in their list without using WhatsApp? Ultimately, the answer to if you can is a yes and no. In fact, there are some apps that allow you to find out which of your contacts have saved your information, but they do not always work like they should. I would strongly advise you against such approaches, because they tend to hide a swindle. You may risk giving up your own personal information, or worse, your finances to perfect strangers. Is it Possible to Know by Which Name Someone has Saved Your Phone Number? Unfortunately (or maybe fortunately for some), there is no way to see who has stored your information under a specific name or tag. That would mean invading privacy, which you do not really want to involve yourself in. The net is full of apps which can promise to do the job, but I can assure you, they do nothing more than steal data and money from you. I have tried my best to provide you all of the information that you might need on this subject, but if I have missed something, please let me know below. Also, if you have questions or comments, feel free to use the comment box below so that I can get in touch with you quickly.